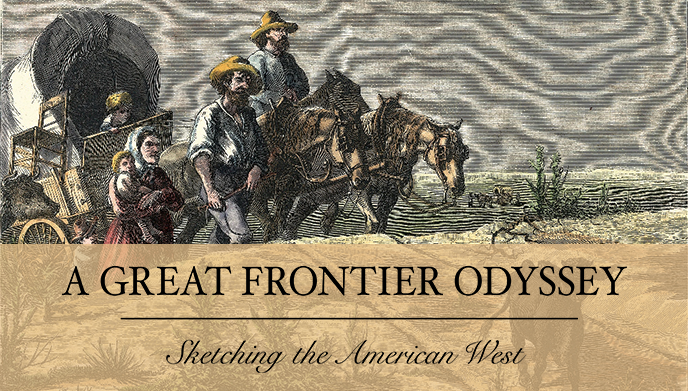 The opening of the West after the Civil War drew a flood of Americans and immigrants to the frontier. The public clamored for images of the newly accessible American West, prompting Harper Brothers’ publishing firm in New York to send Tavernier and Frenzeny on a trip West to provide readers with images of the frontier. Depicting newsworthy places or events that favored the plight of the common man, their artistic and journalistic talent and keen powers of observation made them a powerful team; Tavernier created each engraving’s watercolor painting before handing it off to Frenzeny, who added newsworthy details and drew the scene in pencil on wood blocks. Per vehicle parking fee required to enter Micke Grove Park. $5 per vehicle (weekdays) and $6 (weekends and holidays).